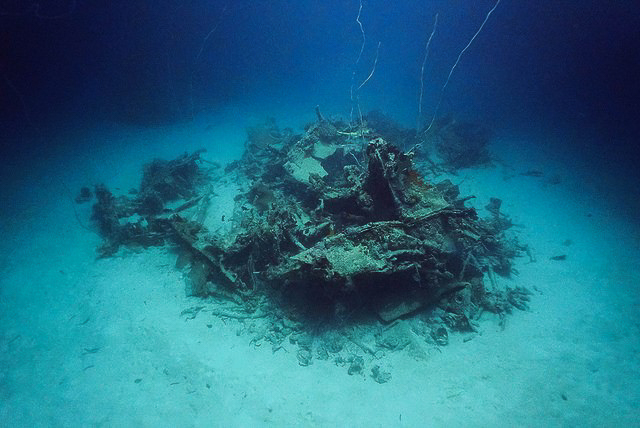 The Project Recover team is pleased to share the news of an underwater recovery of World War II MIA remains from two aircraft, an Avenger and Hellcat, located by Project Recover. 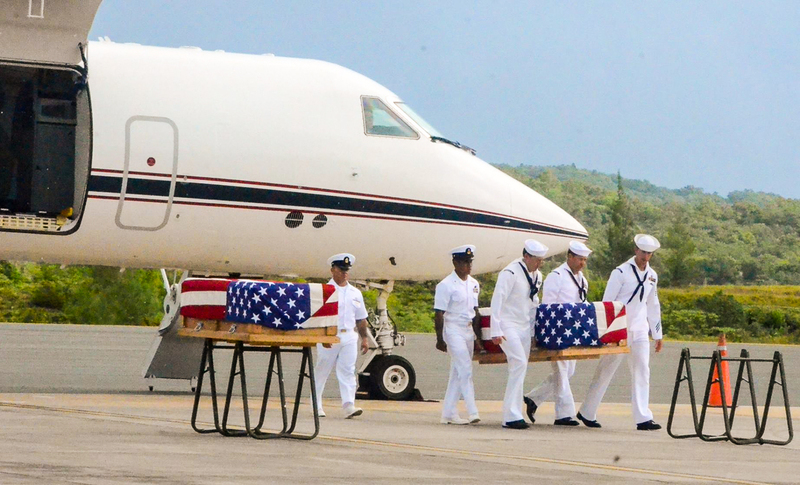 On February 23, a repatriation ceremony was held at Koror Airport, Palau. The MIA remains are on their way to DPAA laboratories for final identification. Once identified, the remains will be returned to their respective families for burial at last. DPAA Underwater Recovery Team recovered remains from two WWII incidents, due to a close and positive working relationship between DPAA and the Ministry of Culture, specifically the Bureau of Culture and Historic Preservation. 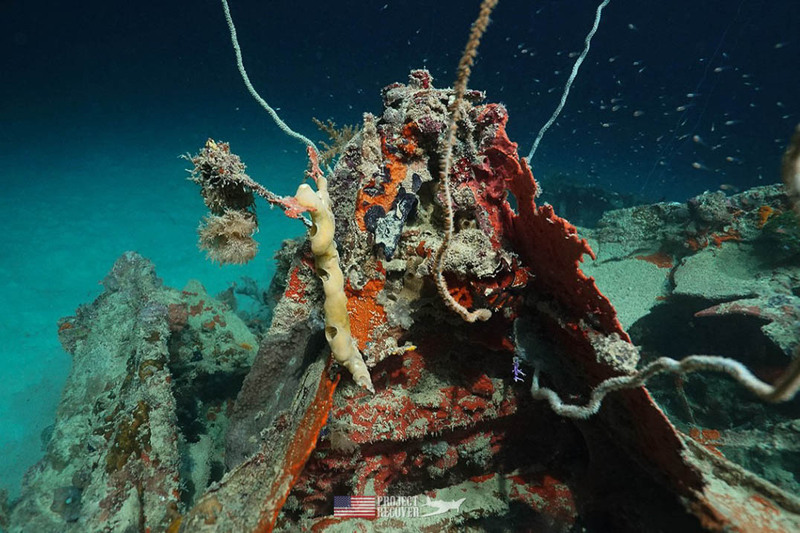 In May 2016, Project Recover announced they had located the underwater wreck of the TBM-1C Avenger, missing since July 1944 in the waters surrounding Palau. 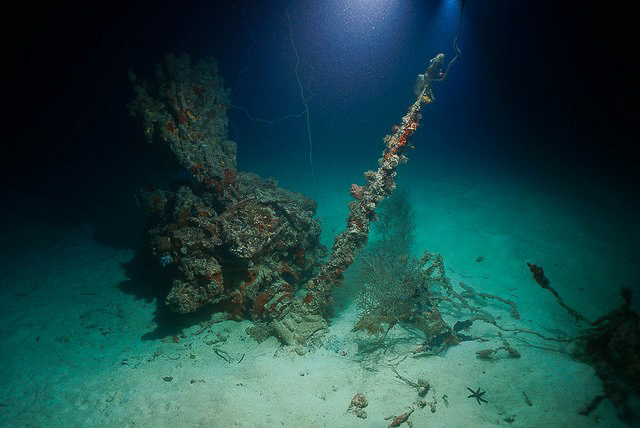 The aircraft was discovered using advanced research methods which have proven to be very successful in locating submerged aircraft and associated Americans missing in action since WWII. 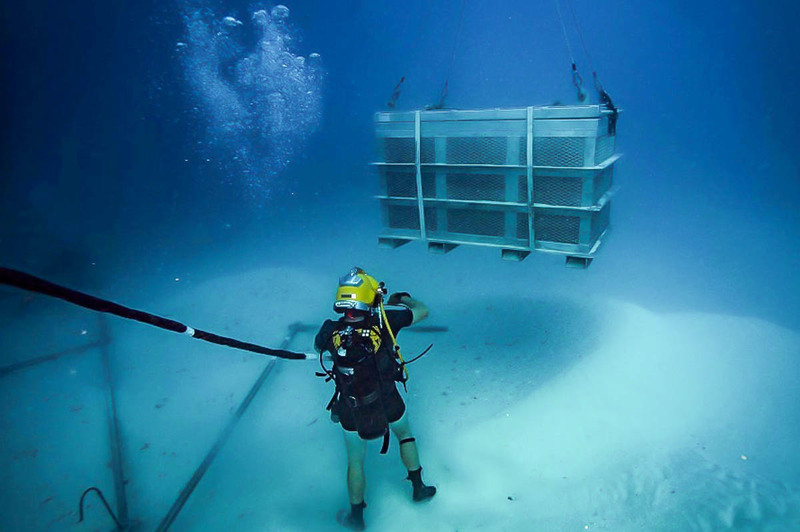 Several years of historical research by Project Recover team members played a critical role in narrowing the underwater search region in which the wreckage was ultimately found. The Avenger crashed into the sea 1944 with three American servicemen onboard while carrying out a carrier-based strike; all three aviators were declared missing in action. “It’s about locating the missing to enable the U.S. government to bring them home for a proper burial.” Said Dr. Eric Terrill, one of Project Recover’s founding members. “Repatriation of the remains is a significant milestone in the process of bringing closure to the families of those lost”. Terrill was part of the team of divers which first dove the missing crash site in 2016. A detailed location was shared with DPAA for official identification, recovery, and repatriation of the missing. 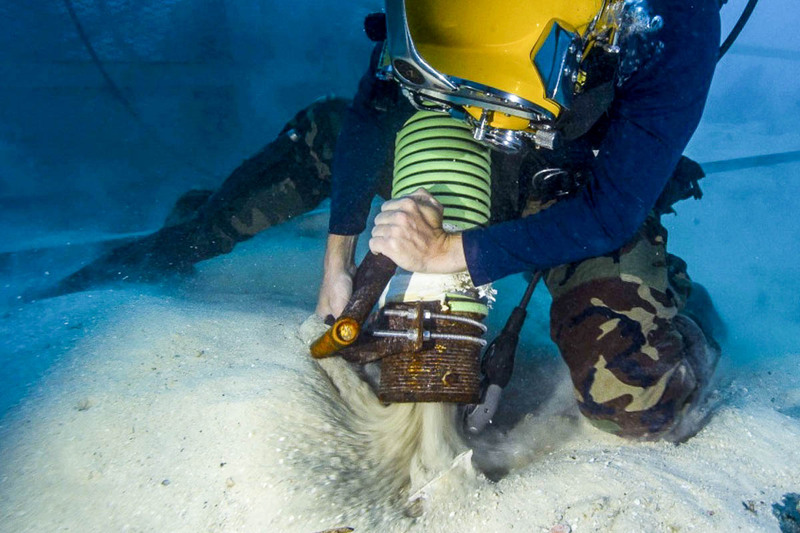 DPAA U.S. Navy Divers opened the Palau TBM-1C Avenger site for excavation and are using a specialized vacuum system to search for evidence of remains. 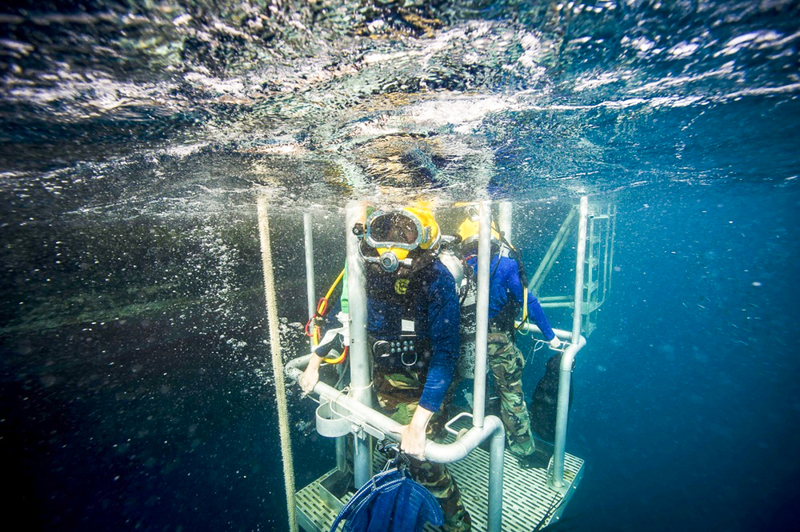 The DPAA team received tremendous support from the Military Sealift Command ship USNS Salvor and the US Navy 7th Fleet Mobile Diving and Salvage Unit 1-1. The team worked from sunrise to sunset for over 50 days straight. The team’s only break came from a tropical storm the forced the ship out to sea. DPAA’s recovery mission could not have been a success without the close and positive working relationship between DPAA and the Ministry of Culture, specifically the Bureau of Culture and Historic Preservation. At this stage, the identity of the remains is not released until DNA confirmation is positive, and the next of kin are notified by the Navy casualty office. The driving force for Project Recover is to help reunite families with their loved ones. “Bearing witness to families finally embracing a loved one’s return is a main driving force for the team.” Dan O’Brien said. Once they locate and survey, the WWII MIA TBM Avenger and F6f Hellcat sites, the Project Recover team hands over all their information to DPAA for the future recovery operations. DPAA opens the site and begins a painstaking and detailed survey process and recovery of the Naval aviators, culminating in their repatriation to the families. “It’s very labor-intensive work and they’ve had a large amount of bottom time making this operation successful. The Mobile Diving and Salvage Company used 1-6 divers for this job pulling more than 12 hour days for the past two months,” said Lt. Cmdr. Tim Emge, 7th Fleet Salvage Officer, as reported in Defense Visual Information Distribution Service. Search and recovery is a long, arduous process. The USNS Salvor, a Navy rescue and salvage ship operated by civilian mariners housed operations. The US Navy 7th Mobile Diving Fleet and Salvage unit 1-1 worked from sunrise to sunset, for 50 days straight. Dives continued at an hour each as teams rotated the dredge operations filling large containers with sediment. Hours were then spent hand sifting through the sediment searching for remains. Salvor did a four-point moor over the aircraft, submerging sifting boxes 90 feet below the surface for divers to fill. Each basket was approximately 4 x 8 x 4 1/2 taking 5-6 hours to fill. Filling lasted about an hour each. The team’s archaeologist led the sifting for artifacts. Successful recovery calls for the collaboration of highly specialized skills and experts from multiple disciplines. The team included a forensic archaeologist, forensic photographer, an explosive ordnance disposal technician, as well as experts in other fields. 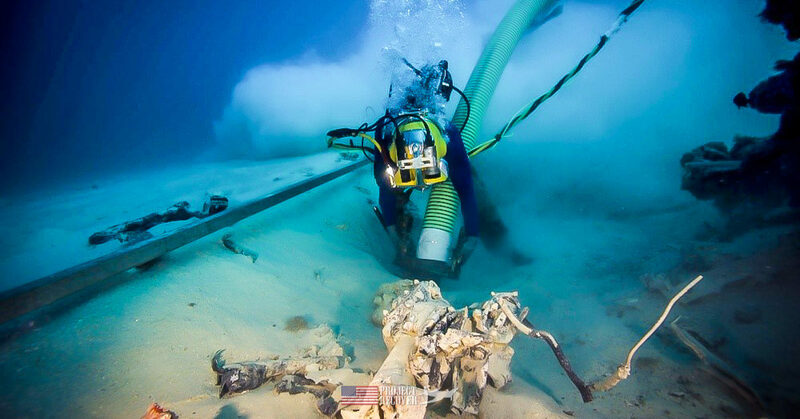 Locating the F6F Hellcat and TBM-1C Avenger wreck sites in the waters around Palau depends on cooperative information sharing and focus on the mission. Project Recover’s success in finding and documenting potential sites for MIAs relies on time-consuming research and the latest in underwater sonar and scanning technologies. The team constantly trains with new technology. These recoveries are possible by the ongoing support of the Palau National Government, Koror State Government, the Bureau of Cultural and Historical Preservation, the Environmental Quality Protection Board, and other Palauan officials working side by side with DPAA. To learn more and obtain the latest information on Project Recover/BentProp adventures, make sure to sign up for our newsletter below. I am happy I read the book Vanished. It’s great to know our missing are not forgotten. Thank you for your interest. We are honored to continue our mission. Terrific work wish I could be a part of it. You folks are doing a wonderful job. It is amazing what technology allows us to do. It is our honor to continue this work. Thank you Bent Prop team members for all that you do to bring our heroes home! I am an old retired Army E8 and a Vietnam Air Cavalry door gunner. It is good to know someone cares enough to repatriate the missing service members of past wars. My sincere appreciation as the son of a WW2 Infantryman veteran. Thank you for following us and the kind words. We will continue our mission to find MIAs. I am one of the extremely lucky ones whose father was a Hellcat pilot in VF20 on the Enterprise in 1944 and came home 5 ½ years before I was born. For this reason I am interested in the work you are doing and deeply sympathize with the families of those who did not come home. Thank you for following along David. We appreciate your support. Even though my brother’s B25 crashed off the shores of the Philippine Islands and parts of the aircraft and remains of the five crew members are not recoverable, it is still gratifying to know that total effort continues for repatriation. Families of the Avengers must be experiencing such joy even after so many years. Thank you. Who knows what the future holds and what capabilities we will have moving forwards, but we will keep doing what we can. Thank you Judy. We appreciate your support. I’m so grateful that people exist who care enough to complete missions like these. My cousin went down in a F6F Hellcat in January of ‘44 in the Rabaul area. Are there any plans to locate the missing in this area? Thank you Liz. Our historian will be contacting you soon to get details on your cousin. Heartwarming for the families. So glad you all thought it was important enough to spend your precious time in the search for our heroes. Thank you. Thank you for the kind words. It is our honor to do this work to help bring home MIAs. It is very important to search for those that gave their precious lives for our liberties. Thank you for being part of my Great Uncle ‘s[ Walter Mintus] funeral this past weekend. What a range of emotions that I went through. By seeing all of my many cousins who were there , it proved all of us heard the story many times about Uncle Bert from our parents. I have never met more kind and humble people than the team from Project Recover. Thank you to the family for the kind invitation to attend the homecoming of Uncle Bert. It was a great pleasure to meet the extended family of Uncle Bert.